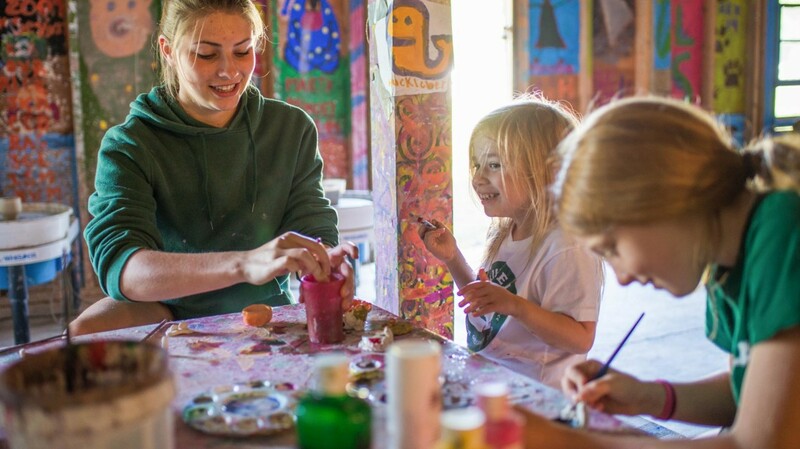 Think outside the crayon box this summer! 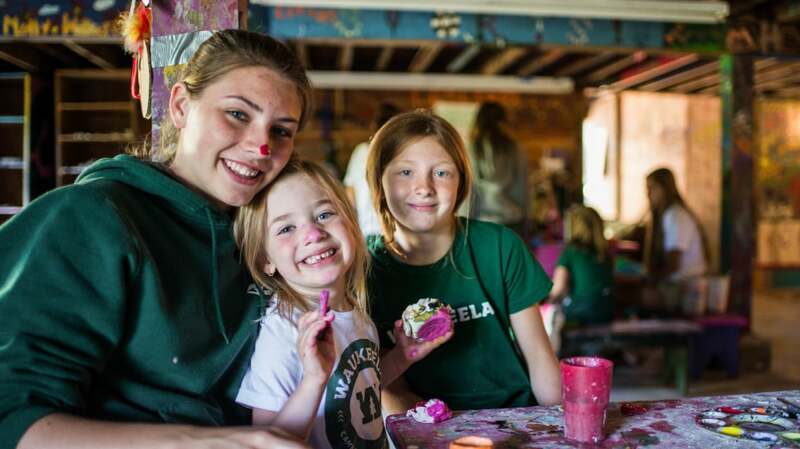 At Waukeela, our Creative Arts programs will encourage you to be more crafty, teach you some great DIY techniques, and show you some fun new ways of expressing yourself. These classes will enhance your artistic and imagination skills and inspire you to turn your creative visions into a reality. 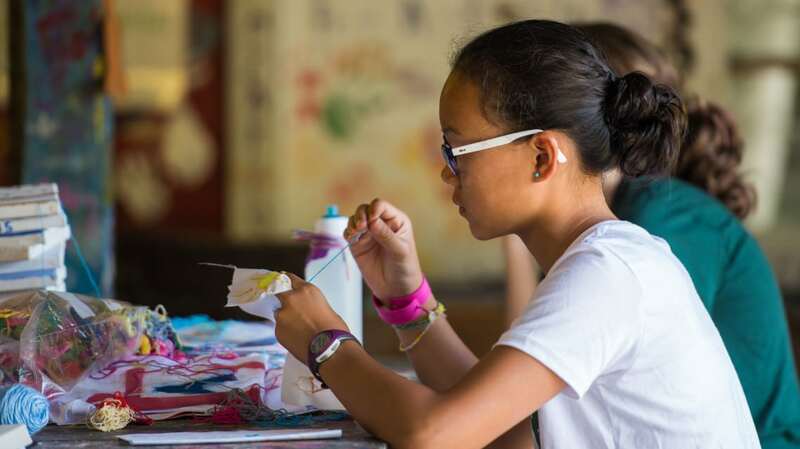 We have a wide variety of crafts and classes so you create lots of brilliant works of art and great instructors to support and guide you all along the way. 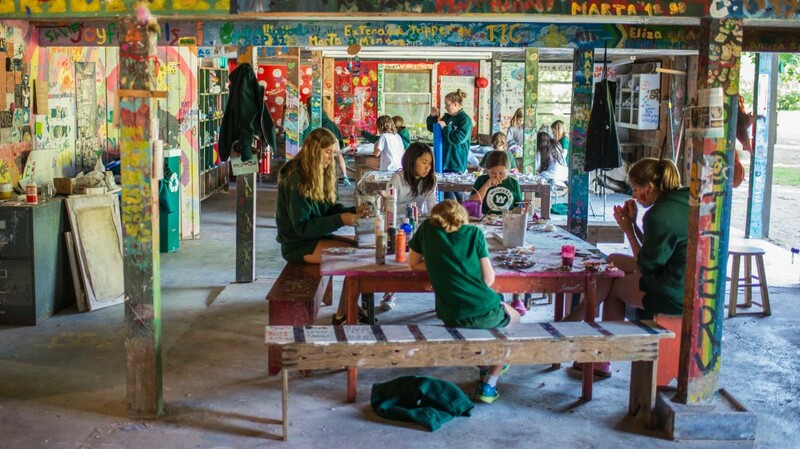 Whether you love painting, photography, poetry, or pottery, take time to create something beautiful at Waukeela this summer! Color your world with Waukeela Arts & Crafts! 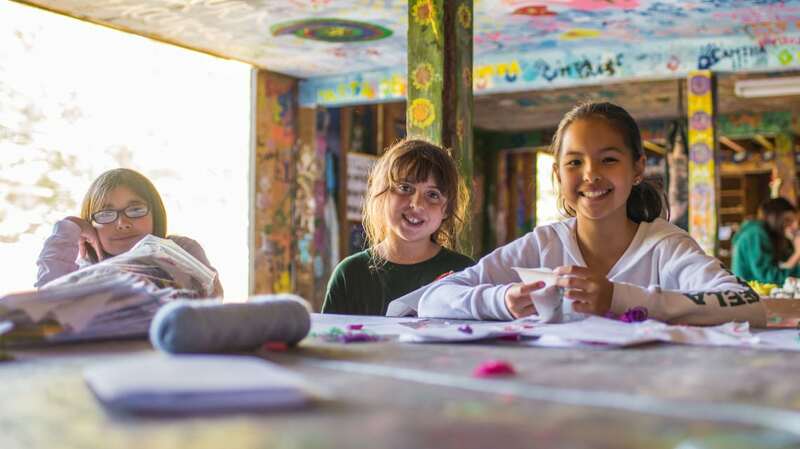 This program is a great way to show off your creative side while making some colorful and glittery camp souvenirs. 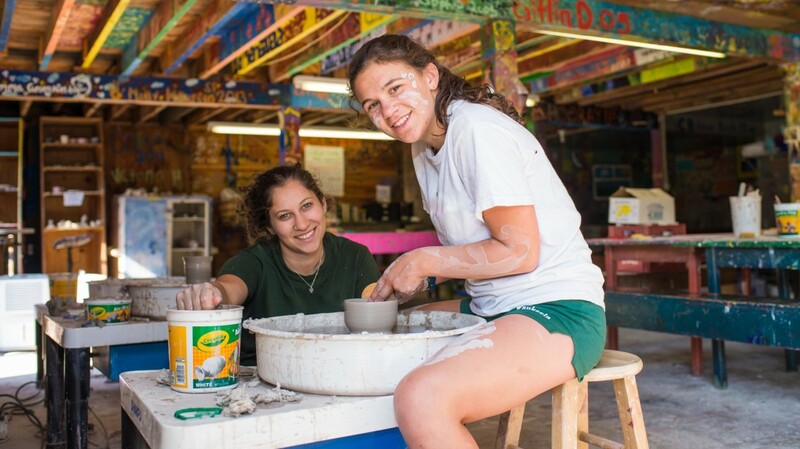 We have an endless list of fun summer projects including macramé and beaded jewelry, tie-dye clothing, hand-dipped wax candles, decorated picture frames, abstract paintings, and so much more. At Waukeela, we are always expanding our taste buds with our fun cooking program! By experimenting with a variety of recipes each week, it is our mission to encourage creativity in the kitchen and instill an appreciation for food. A lot of delicious treats come out of our kitchen, including our camp famous Congo Bars! 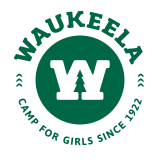 So whether you’re an aspiring chef or you’ve never touched an oven in your life, Waukeela offers cooking activities that will excite and challenge girls of all ages! Don’t miss a single picture-perfect moment this summer! 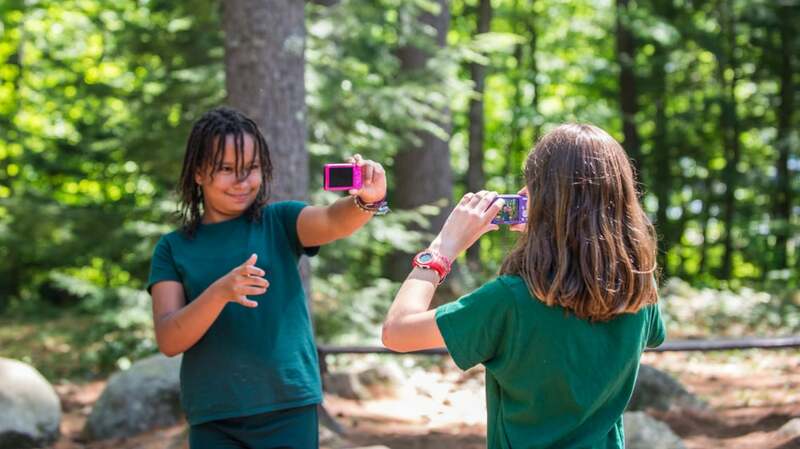 Our Photography program provides you with the all knowledge and tools you need to take amazing photos all summer long. From lessons the basics of color and composition to printing and framing, we will show you step by step how to take beautiful pictures that you will want to show off to everyone. 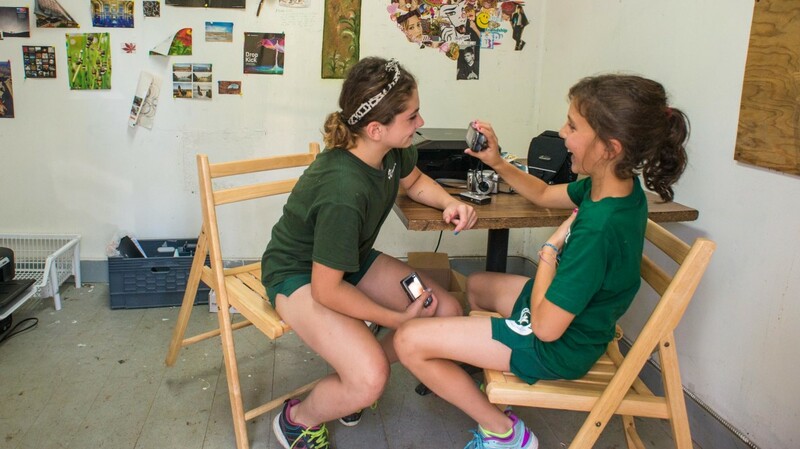 We even have some fun underwater and pinhole cameras as well as fun photography tricks that will make your camp pictures one-of-a-kind. The list of cool crafts you can make with clay are endless! 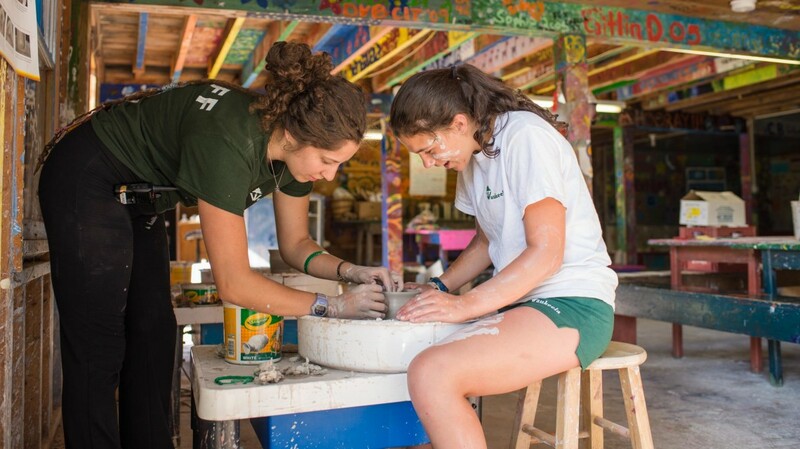 Always a camper favorite, our Pottery program will teach you how to sculpt, glaze, and fire your clay creations that can be decorated and taken home as souvenirs. 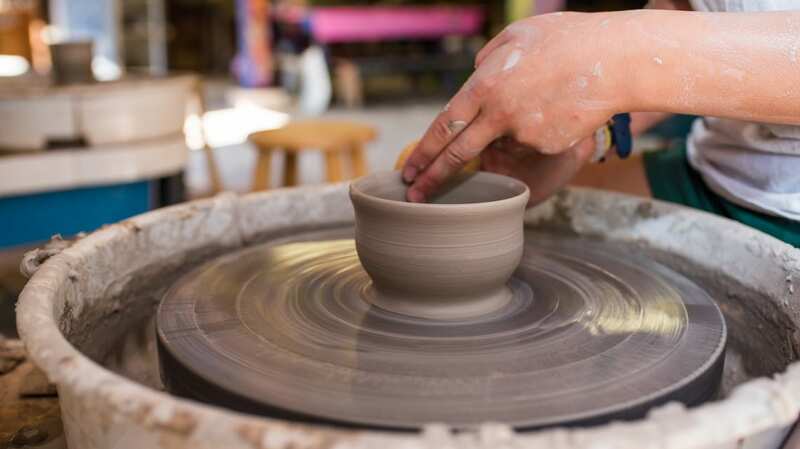 Our Pottery studio has four wheels so classes are kept small and all instruction is highly personalized to ensure that your vases, masks, mugs, and bowls are handcrafted to perfection. Are you ready to stitch and sew all summer long? We can teach you how to knit scarves, sew pillows, and make memorable fabric postcards in our Textiles program. We have yards and yards of fabric and yarn available to you for all the flags, hats, and other colorful crafts that you have always wanted to know how to make.